Box 1 - Korean War Memorial Coin ( 1991 Uncirc. Silver Dollar, Denver Mint). 0.76 troy oz of silver. Box 2 - White House 200th Anniversary Coin ( 1992 Uncirc. Silver Dollar, Denver Mint). 0.76 troy oz silver. 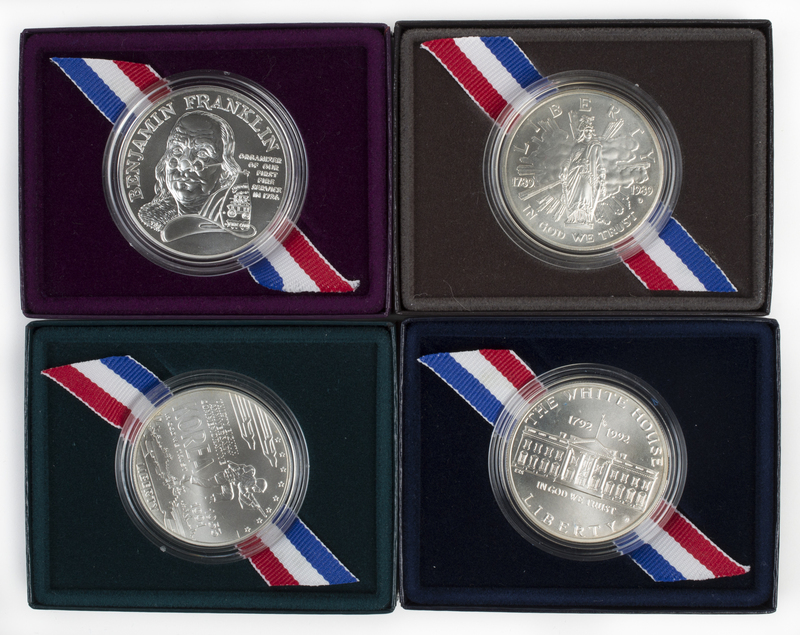 Box 3 - Ben Franklin Firefighters Medal ( 1992 Uncirc. 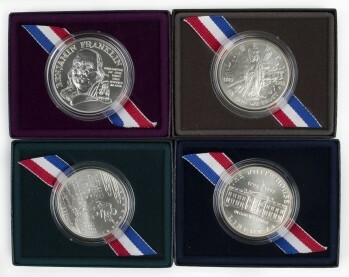 Silver Medal, Philadelphia Mint). 1.000 troy oz silver. Box 4 - US Congressional Silver Dollar Coin ( 1989 Uncirc., Denver Mint ) 0.76 troy oz. silver.